Liquid roof coating provides a seamless solution for waterproofing and protecting roofs, even under the constant Irish rain. These liquid roof coatings will give long-term protection to a wide variety of roofing materials, including felt, asphalt, asbestos, cement and metal surfaces. The right roof coating can seal and prevent roof leaks, significantly extending the roof’s lifespan and saving you money. In many cases where a roof would otherwise require total removal and re-installation, roof coating is a cheaper alternative. A roof without a coating requires maintenance approximately every five years – a high quality roof coating can guarantee 10 to 15 years maintenance free surface. In this article we look the benefits of roof coating, how much it costs, and where to find roof coating contractors in Ireland. Roof tile paint (Acrylic or Aphalt): Old shingles or roof tiles in hard Irish weather conditions can benefit from roof tile paint. The coating creates a film barrier that stops shingle granule loss, cracking and leaking. It also refreshes the color. When painting roof tiles it is important to opt for a coating that allows moisture vapor to pass through the coat while remaining waterproof. Roof tile paint can be used to paint concrete, terracotta and fiber cement roof tiles. Renewal paint (Acrylic or Aphalt): Brings faded, discoloured and tired looking concrete tiles back to their former glory. 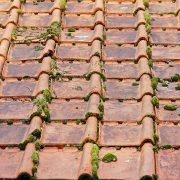 Turning back time and recreating the tiles’ original colour, it removes lichen, moss and fungi whilst protecting against porosity and frost damage. Waterproofing coating (Polyurethane): Almost all roof coatings have waterproofing qualities, there are some that even adhere to damp surfaces. General purpose waterproofing roof coatings are one component and water based, and work as a roof sealant to keep out moisture. If you’re in need of a more heavy duty solution there are coatings containing fiber fillers to do the job. Liquid rubber (Silicone): This rubber roof paint is ideal for felt, PVC, Polyester, concrete, lead & aluminium (flat) roofs, and it is also possible to have Liquid Rubber asphalt roofing. It creates a seamless finish and is durable up to 10 years. It dries to a tough, black coating. Liquid Rubber paint can also be used as a waterproofing coating system for walls, and other above ground structures. Gaco roof coating is another silicone-based roof paint. Renewal roof tile paint lets you breath new life into neglected roof tiles. Solar Reflective Roof Coating: This coating often comes in a decorative aluminum finish that prevents strong warming of the roof and solar degradation. Ideal for flat roofs in sunny positions. It is suitable for use over bituminous coatings, aged asphalt and primed steel. Gaco roof coating is white in order to reflect solar rays. 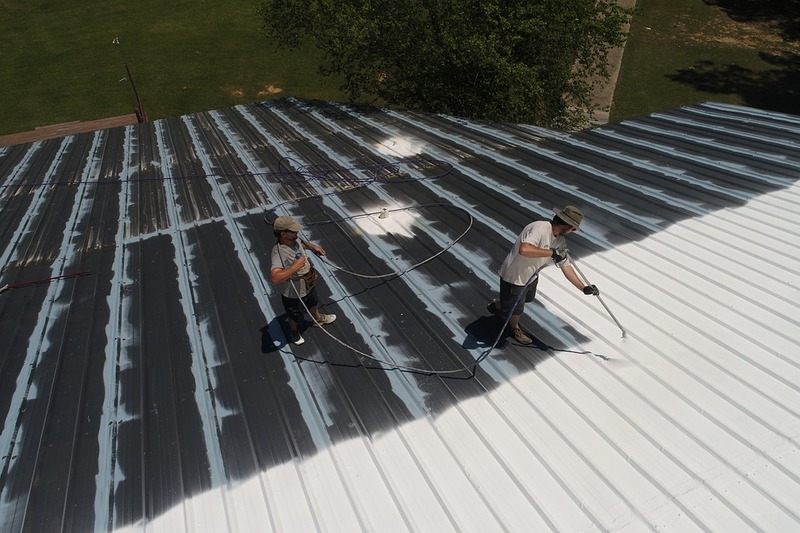 Asbestos Roof Paint: A seamless semi-liquid roof coating that is designed to encapsulate asbestos. This specialty coating is based on chlorinated rubber. Always take the proper safety measures when painting asbestos. If in doubt, always contact a professional roof coating specialist. Anti Climb Paint: This special coating can be applied to the roof and anything leading up to the roof (pipes, brick walls and so on). Once applied, the coated surfaces will be virtually impossible to climb because of its soft and slippery formula. In the Irish climate, a waterproof and effective roof is important for protecting the structure beneath. There are many roof coating specialists who provide services across Ireland, including those who provide Liquid Rubber roof coating. If you have a roof coating project and would like to source the right coating for the job, we are here to help. In collaboration with out coating partners, our experts will determine the coating solution for your needs. Simply use the button below or our contact form to give us some information about your project. Our quotation service is 100% free, so why not contact us today! There are many types and formulations of roof coatings so it is important to always consult a specialist before proceeding. Below is a very short list of roof coatings available on the Irish market.